How to Fight Back against Bad Faith Insurance Acts - Hames Anderson Whitlow & O'Leary, Attorneys at Law, P.S. You pay your premiums with your insurer on time, and in return, you expect that your insurance company will be there when you file a claim. After all, the point of investing in insurance is that it is there for you, even if you are at fault. However, what should you do when your insurance company is denying your claim without reason, taking longer than necessary to investigate a claim, or offering a settlement that does not resemble anything close to fair? While a negative experience with insurance companies does not automatically constitute bad faith, if that insurer is purposely acting in a way that violates the law, you may have a way to fight back and hold them accountable. Not all insurance claim denials mean the insurer is operating in bad faith. Instead, there are specifics outlined by the law that would indicate bad faith practices. 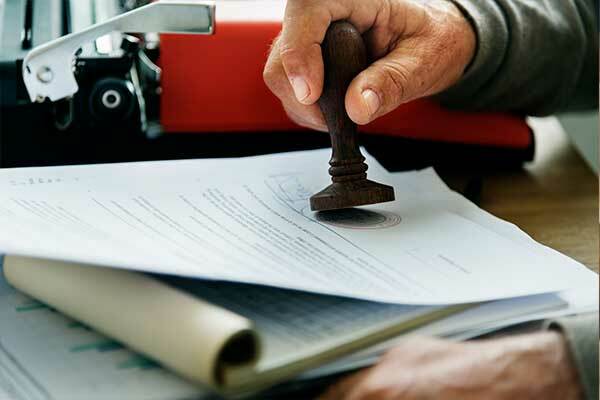 These actions represent bad faith practices, and even one act may mean that the insured has the right to file a legal action (lawsuit) against the insurance company and report them to the state. However, the act itself is not enough. You carry the burden of proof, which means you must show that the insurance company was acting in bad faith. You can do this by hiring an attorney that has experience in this field. Creating unreasonable delays in processing your claim. One type of bad faith tactic is when the insurance company purposely drags out the investigation time. They will do so to see if you give up on pursuing compensation. Every state outlines their deadlines for how long an insurance company has, and the state of Washington requires that the insurance company complete their claim investigation within 30 days of the filing date. Not conducting a full investigation. Within your insurance policy, you will find details that the insurer has a duty of acting in good faith and fairness while processing a claim. Part of that duty is to not only complete their investigation quickly, but do a full investigation within the timeframe set by the law. Denying your claim without investigating properly is bad faith. Using deceptive practices to get out of paying for insured incidents. Your insurance company might take advantage of wording in the policy that is ambiguous and find ways to get out of paying your claim. For example, they might fail to notify you of important deadlines or not give you the paperwork necessary to file a completed claim. Offering less than the claim deserves. While you sometimes might feel you are receiving less than you deserve, when it is blatantly obvious that the insurance company provided less compensation than the claim dictates, you may have a case of bad faith. For example, the insurer is offering half of the repair estimates you received and submitted with your claim. Refusing to make payments on valid claims. Another example is when the insurance company outright denies a claim that would be covered by the policy and there is no adequate reason for denying the claim. Now that you know what to look for when you suspect that you are the victim of bad faith insurance, what steps can you take to protect yourself and force the insurance company to operate how they should? Review your insurance policy and contract. Before doing anything, review the policy you were given when you signed up for your insurance. This is the contract between you and the insurer that outlines your duties and the duties of the insurance company. You cannot file a lawsuit without knowing if there was a violation of the contract terms. Keep logs and notes about everything happening with the claim. From the moment you file a claim, you should get the contact information of the claims’ adjuster and any other party involved in your case. If insurance team members contact you, write down dates, times, their name, and what you discussed. Any correspondence you receive in the mail or online must also be saved. Documents to save include reports, estimates, correspondence, and denial letters. Report the concern to your state’s insurance regulatory agency. If you have confirmed a violation happened, report your issues to the state insurance regulatory agency. The state office reviews these claims, and during the process, the insurance company might reverse their decision once they see you are serious. File a complaint with the state department of insurance. Next, you should file a complaint with the state department of insurance, letting them know that a bad faith act has occurred. Include evidence to back your case and provide a concise statement about your experience. Consult with an attorney. Most of the steps above can be done alone, but there are deadlines and specifics you must include in your bad faith accusation; otherwise, the state agencies will not take your claim seriously. Furthermore, when you hire an attorney, you open the possibility of filing a bad faith insurance lawsuit. This not only ensures you receive compensation for your claim, but provides you with additional damages for the behavior and costs you endured from the insurance company. Whether you suspect that your insurer is operating in bad faith or you have direct proof, the best thing you can do for your case is to contact an attorney that has experience handling these types of cases. Contact the legal team at Hames, Anderson, Whitlow & O’Leary today. Our team is here to review your case, determine if bad faith has occurred, and walk you through the steps for reporting it to the authorities and filing a lawsuit. We take bad faith claims seriously, and we hold insurance companies accountable for failing to fulfill their duty to their policyholders. Contact us today to schedule a confidential consultation at 509-586-7797 or request more information online.